Misr International University hosted a seminar entitled “Agile Development” for MIU Computer Science staff and students on Monday, April 3rd, 2017. The seminar was held in room NA6 and lasted from 11:30 am to 1:00 pm. The guest speaker was Eng. Eman Mostafa, Managing Director of IT- Blocks. Eng. 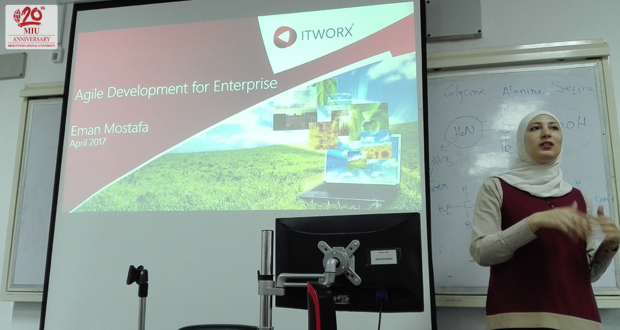 Eman Mostafa is a Senior Project Leader and an Agile Software Development Subject Matter Expert at ITWORX. She has a 16-year experience in the field of management development and testing applications and products using Microsoft technologies for government and enterprise entities. 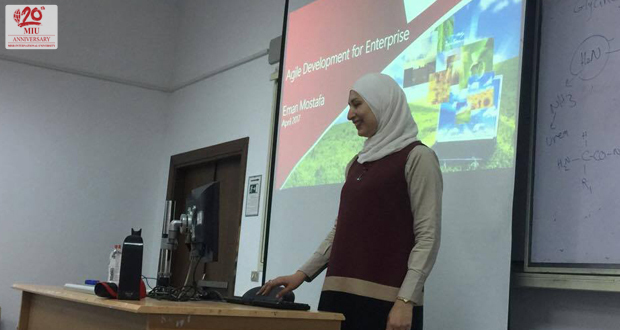 Eng Eman is a Certified Scrum Master, and has been practicing agile software development for 3 years.